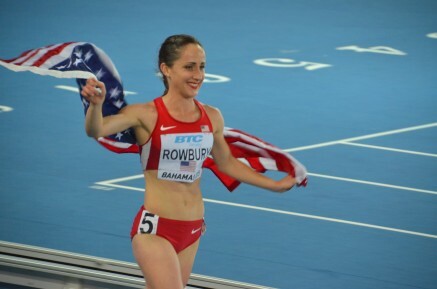 17th July 2015 – In a memorable race on an incredible night of athletics in Monaco, Shannon Rowbury (USA) took down the 32 year old American 1500m record and set new figures of 3:56.29. The race also saw the World Record broken by Ethiopian Genzebe Dibaba but Shannon set her own piece of history by taking third place and wiping almost a second off the previous mark. Earlier in the night in the mens 1500m double Olympic champion Mo Farah (GBR) was just outside his own European record while taking fourth in 3:28.93. Matthew Centrowitz (USA) ran a personal best of 3:30.40, amazingly a time which earned him only tenth place. Defending World 400m Champion Christine Ohuruogu (GBR) showed that she is once again starting to round into shape as the major championships approaches. She ran a sesons best of 50.82 for fourth. Gaining Diamond League experience all the time World Junior 100m Champion Dina Asher-Smith (GBR) acquitted herself well by running 22.41 for fourth place in the 200m. Earlier in the week World Junior 3000m Champion Mary Cain (USA) ran a seasons best in the 1500m while taking fourth in Liege. At the meeting in Luzern Commonwealth 100m champion Kemar Bailey-Cole (JAM) opened his European season with third in the 100m. Michael Rimmer (GBR) ran a strong tactical race in the 800m and was also rewarded with third place. Benard Kipyegon (KEN) took fifth. Ristananna Tracey (JAM) was fourth in the 400m hurdles.